Lakeland Child Custody Attorney - Lawyer, Providing Professional Child Custody, Divorce and Family Law Attorney legal services for Lakeland, Winter Haven, Bartow, Polk County, and the surrounding Central Florida area. Call 863.660.2185 to Speak with Lakeland Child Custody Attorney / Lawyer, Joshua E. Schoen. While the term custody has been replaced under Florida law by the term "Parenting Plan" since it is still a common term used by those who may not be familiar with the change in terms, we have included this page using the term child custody and visitation. When one parent has been granted primary custody of a minor child, the other parent will be granted visitation rights unless specific circumstances warrant a denial of visitation by the court. The court may also order a period of supervised visitation if circumstances dictate it is necessary for the best interest of a minor child. When custody of a minor child had been determined, the visitation rights of the nonresidential parent will be determined, including the responsibilities, limitations, and the visitation schedule. The primary concern for the court is what is in the best interest of a minor child (or children). When it comes to which parent a minor child will primarily reside, the court will often rule in favor for that which provides for minor children to continue to have an active relationship with both parents. Or certain forms of criminal behavior. As your attorney, will ensure your legal rights are protected and that your arguments are presented to the court in both child custody hearings, as well as visitation hearings. If there are allegations of misconduct that are raised by you or your spouse, your attorney will assist you in hearings regarding allegations that may affect the outcome of child custody and visitation hearings. 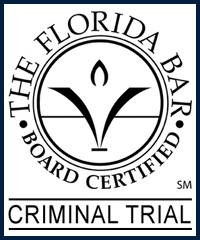 It is important to understand that if a claim of misconduct is made against a parent that is deemed by the court as being untrue, the claim of misconduct is often viewed a false allegation and could result in the court reacting in an unfavorable manner toward the parent who made the false claim of misconduct. It will often be considered an act of attempting to deceive the court in an effort to gain favor in legal proceedings, and to discredit the other parent. Protect your rights by seeking the legal advice and representation of an experienced Lakeland Child Custody Attorney / Lawyer. Contact Lakeland Child Custody, Divorce and Family Law Attorney / Lawyer Joshua E. Schoen at 863.660.2185 in the Lakeland, Winter Haven, Bartow, Polk County, and the surrounding Central Florida area.